Reclaim Yourself Women's Retreat : April's Power Tools Retreat! Imagine yourself in a beautiful house, surrounded by 12 creative woman who love to learn, one darling instructor whose gonna teach you how to use a power tool, delicious food cooking in the kitchen and an opportunity to take home some amazing projects YOU MADE YOURSELF! That's the key to April's retreat ladies! You get to learn mad skills that you'll be able to use FOREVER! Brandon & Tonya of "Two Pitts of a Pear" are amazing instructors! 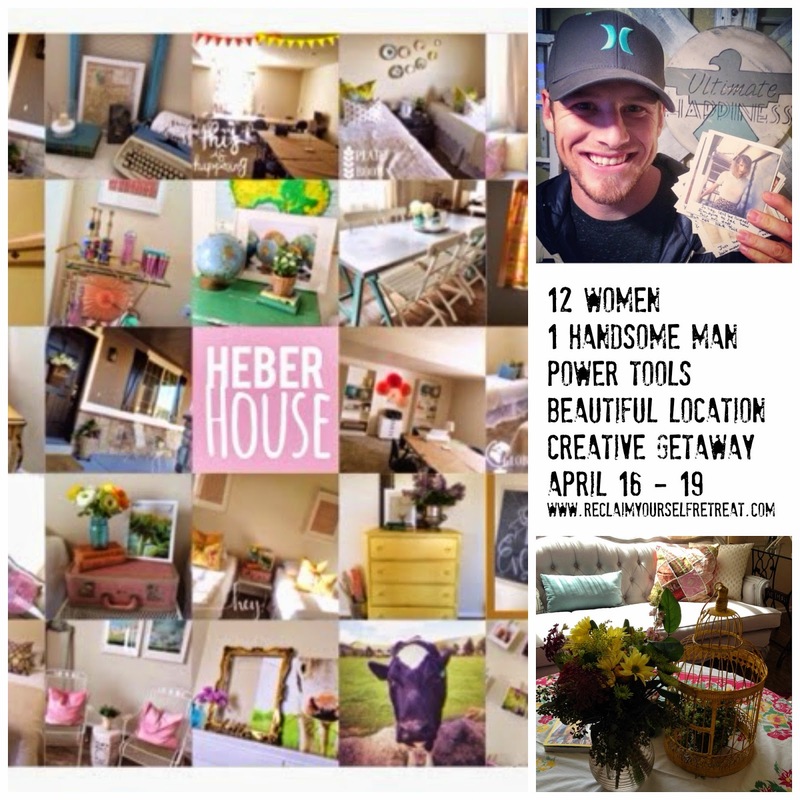 Join me on April 16 - 19, 2015 in beautiful Heber, Utah for a "Real Women Use Power Tools" retreat! 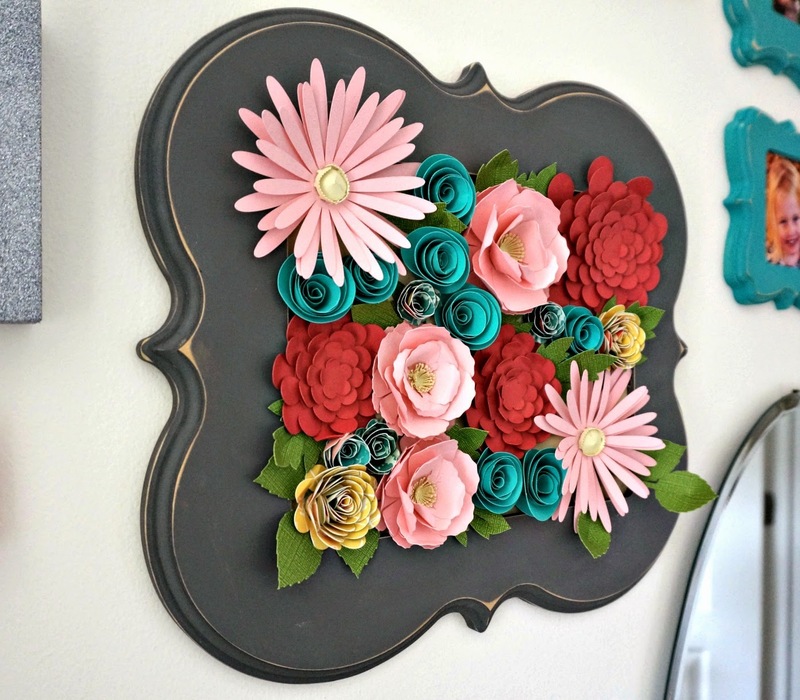 Shanon Kendall, a designer for Cricut will teach us how to make those amazing paper flowers that we'll be putting on our wood boards. You'll be painting and decorating them in your favorite colors. Brandon & Tonya begin power tool instruction and we begin building a frame. 3) once you've learn to build a frame and how to miter cut, you'll be able to do a lot more projects like beadboard, baseboards, crown molding and lots more because you learned the basics of building a frame. You'll learn how to use a power saw, an electric sander, an electric drill and how to paint and distress wood. When you get home you'll be able update your home with the skills you've learned AND you won't have to wait for your husband to get things done around the house! Saturday we play. In the surrounding Heber, Midway and Park City areas there is so much to do and see! Shopping, hiking, crater diving, train riding, the choices are unlimited! Or, feel free to stay at the Heber House and just relax, catch a nap, finish that book! We say goodbye to our new, dear friends and head for home. More empowered, full of learning and loaded down with amazing projects we made ourselves!